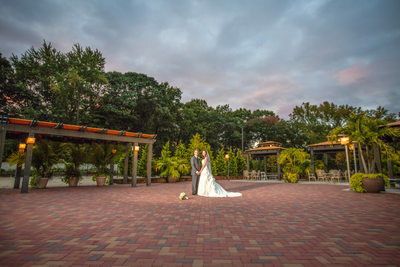 Crest Hollow is exactly the sort of elegant, classic wedding venue that you picture when you think of a Long Island wedding. 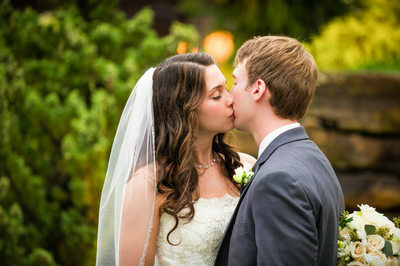 It is located just off of Jericho Turnpike in Woodbury. 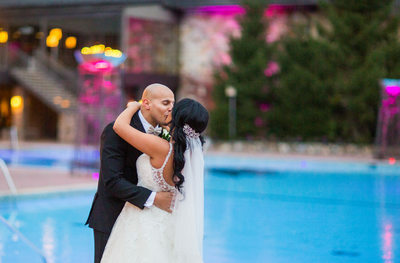 Crest Hollow is in the heart of Long island wedding venues. 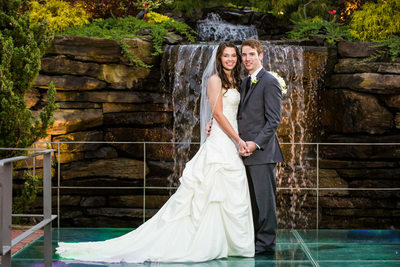 It accommodated from intimate outdoor ceremonies to formal soirees for 400 guests. 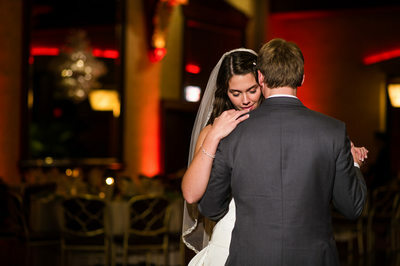 They have the space and the style to help you design the wedding you’ve always dreamed about. 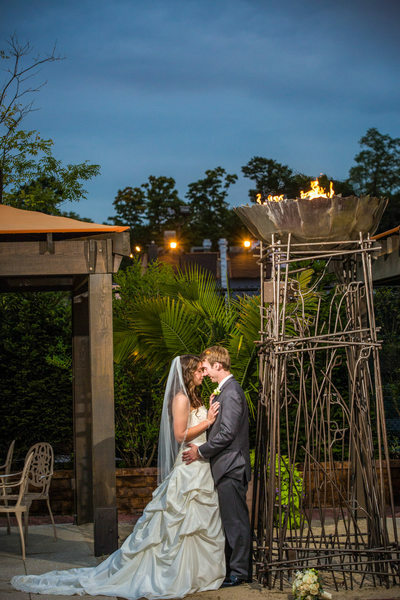 We love working with the staff at Crest Hollow. Friendly and easy to communicate with, they’re incredibly knowledgeable and helpful. 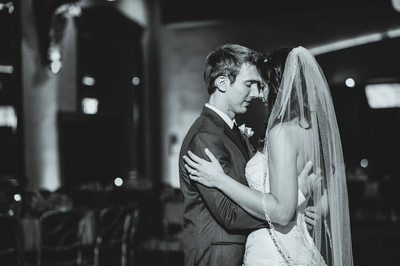 From start to finish, their onsite wedding consultant will help you with planning everything from floral centerpieces to the gourmet menu to the perfect entertainment for your wedding reception. 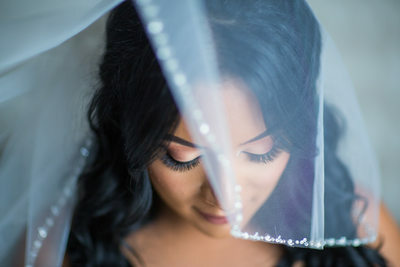 From the sweeping ceilings of the ballroom and the elegant poolside cabanas, they make sure every spot is customized and ready for your wedding. 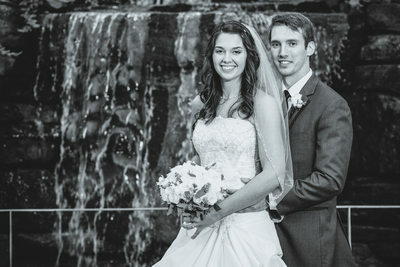 We’ve seen weddings at Crest Hollow at the height of summer and in the middle of autumn, and no matter the season, it’s always a gorgeous place to be married. 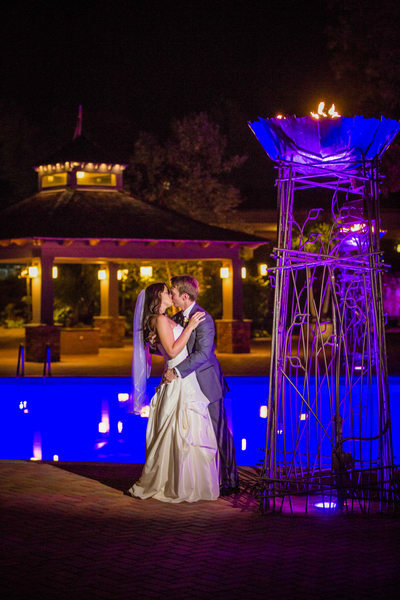 Crest Hollow offers a custom New Year’s Eve wedding package, complete with a midnight balloon drop and champagne toast. 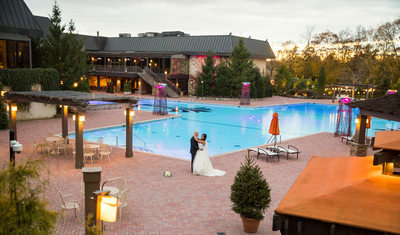 There are dozens of perfect places to take your wedding portraits here. 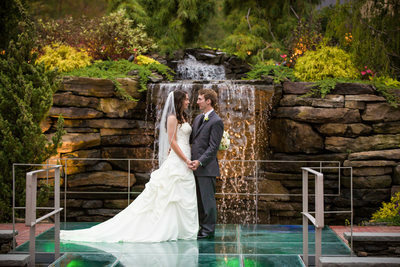 The flagstone terrace, the beautiful banquet hall, the carefully landscaped grounds -- even a waterfall fountain! 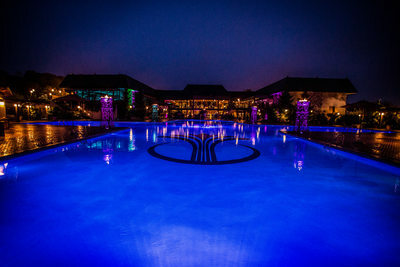 The full pool is dramatically lit at night and surrounded by firepits. 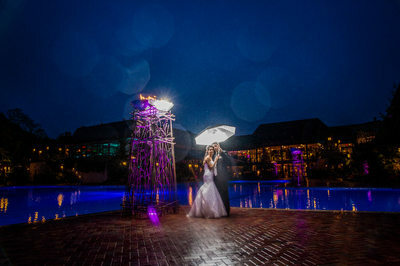 It's providing a glamorous spot for you to take a moonlit stroll or for guests to mingle and dance. Every inch of the Crest Hollow is stunning.